A Christian environment and team of personally committed professionals are the “natural surroundings” that encompass all programs in Lee’s graduate studies. Lee University’s graduate programs provide an educational experience that meets the most important requirement–a profitable engagement of the student’s time, purpose and personal resources. Lee’s graduate programs serve adult students with various professional interests and diverse personal histories. Flexible scheduling for part-time and full-time students and personal attention from experts and practitioners in wide-ranging professional fields enable students to find a niche for their personal goals and their intellectual progress in a field of study. 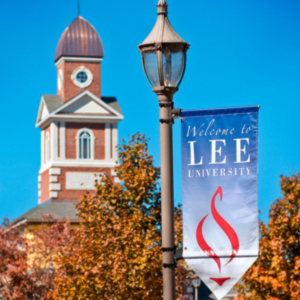 Fifty degree programs are offered at Lee University for the level of Master in those fields within the colleges or schools. Applicants are advised to refer to appropriate sections in this catalog for detailed information regarding the policies and procedures for each respective program. In addition, five degree programs are offered at international sites in Germany, Ecuador, and Guatemala. **The Health Service Fee must be paid in order to receive services offered by the Health Clinic and the Counseling Center. *Applies to students taking classes in the Masters in Ministry/Biblical & Theological Studies programs. The above charges do not include books and supplies, which are sold in the Lee University Bookstore. Students must be prepared to pay for books and supplies with cash, check or a major credit card. Books and supplies will not be charged to student accounts (unless the student is eligible for a book voucher). Students will receive a book voucher only when their financial aid exceeds the amount of their school bill. If a student qualifies for a book voucher, the student will be able to go to the bookstore and use his or her Lee ID to purchase textbooks after he or she completes registration. (Non-textbook purchases may not be paid for with a book voucher.) Charges for textbooks purchased will be applied to the student’s account at the time of purchase. Questions regarding book vouchers should be directed to the Student Financial Services Office. NOTE: Students are not required to use book vouchers to purchase textbooks. The meals and flex dollars expire at the end of each semester. In those cases where more than one member of an immediate household is registered full time (at least 9 graduate hours), a 25% discount on the lesser tuition only is permitted for each additional student after the first. Please notify the Student Financial Services Office at the beginning of each semester in order to be assured of receiving the discount. This policy does not include married children or students considered independent for financial aid purposes. Students already receiving full tuition scholarships will not be eligible for the family tuition discount. 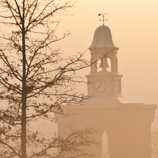 Discounts and scholarships awarded by Lee University cannot exceed the cost of tuition. NOTE: Music lessons are taught on a semester basis. Fees for applied music are non-refundable after the 12-day registration period at the beginning of the fall or spring semester. Accompanist fees are non-refundable after September 15 (fall semester) or February 5 (spring semester). Students should be prepared to pay full semester charges on or before registration. Money may be submitted in advance to the Student Financial Services Office. This payment will facilitate registration. On-campus students are required to pay $6,900 and off-campus or part-time students are required to pay fifty percent down on or before registration according to the deferred payment plan. Students who are unable to pay their accounts in full must either borrow the necessary funds or enroll in the university’s deferred payment plan. Students who will have difficulty paying the full charges within the semester are encouraged to make advance arrangements for borrowing the needed funds. The university also offers services by which students may use Visa, MasterCard, Discover and American Express to make payment on their accounts. Any full-time, on-campus student desiring to participate in the university’s deferred payment plan is required to pay $6,900 down at registration and the balance of the semester charges in two equal payments on the dates mentioned below. Any part-time student or off-campus student desiring to participate in the deferred payment plan is required to pay fifty percent of the total charges at registration and the balance of semester charges in two equal monthly payments on the dates mentioned below. The same financial requirements apply to veterans and others in cases when money is not sent directly to Lee University. Students enrolling in the deferred payment plan will be charged a $100 fee for this service. This fee will apply to all students owing a balance in excess of $500 at the time of confirming enrollment. A bill will be sent to the student’s permanent address, unless otherwise indicated, each month. However, the student is still responsible for timely payments, even if a bill is not received. If payment is not made on the due date, a $35 late fee will be assessed. Students are ordinarily required to pay the full charges for all sessions at registration. However, those unable to pay the full amount may defer up to 50% of the charges for a maximum of 30 days. Students delaying registration for a second or third session must pay an additional registration fee of $25. Students enrolling in the deferred payment plan will be charged a $100 fee for this service. This fee will apply to all students owing a balance in excess of $500 at the time of confirming enrollment. No reduction of charges will be granted unless application is made within two weeks of any change in program or departure of the students. STUDENTS WHO WITHDRAW FROM THE UNIVERSITY AFTER THE FIFTH WEEK OF CLASSES WILL RECEIVE NO ADJUSTMENT ON TUITION, FEES, AND ROOM (includes Carroll Court Apartments). Those whose study is interrupted by the university for discipline reasons will receive no adjustment on tuition, fees, and room after the fifth week of classes. When a student withdraws from the university or moves out of on-campus housing, his or her ROOM (includes Carroll Court Apartments) CHARGES WILL BE ADJUSTED ON THE SAME SCHEDULE AS TUITION AND FEES. Board charges will be prorated from date of withdrawal. If a student withdraws during a semester and requests a refund of advanced payments, the following rules will determine the amount of adjustment, provided the student withdraws formally through the Center for Student Success. Board will be adjusted by the full amount unused at the date of withdrawal. THERE IS NO REFUND FOR REGISTRATION FEE, LATE ENROLLMENT CONFIRMATION FEE, OR DEFERRED PAYMENT PLAN FEE. No person who registers as a full-time student and is later permitted to drop enough courses to place him/her in the classification of a part-time student will be entitled to an adjustment or prorated tuition after the fifth week. Mandatory refunds and repayments to Federal Title IV student financial aid programs will be calculated based upon earned and unearned aid percentages as outlined by the Federal Government. The formula for such calculations is based on the number of days in a given semester and the number of days attendance completed by the student prior to his/her withdrawal. Refunds mandated by the calculation could possibly increase the amount a student must pay after he/she withdraws from school. Please refer to “Return of Federal Title IV Financial Aid Policy” in the Undergraduate Financial Aid section. Withdrawals during the first week of classes will receive 50% credit on tuition and room. THERE IS NO REFUND AFTER THE FIRST WEEK. If you register for multiple sessions and withdraw prior to the beginning of the second or third session, you will receive full refund for the second or third session (whichever is applicable). Written commitments for aid from Lee University or other sources are the only substitutes for the required down payment. Therefore, students should assume responsibility for applying for aid in advance and for seeing that the proper letters or cash arrive at the Student Financial Services Office by registration day. While we recognize the problems involved in increasing costs to the student, education with a Christian emphasis is the greatest personal investment available today. The university will assist students in every way possible to finance their education. If you need financial assistance, please check with our Financial Aid Office. Accounts with the school must be settled in full before a diploma is released, a transcript of credits is issued, or a letter of honorable dismissal is granted. ACCOUNTS MUST BE PAID BEFORE FINAL EXAMINATIONS ARE TAKEN. NO STUDENT WILL BE ALLOWED TO GRADUATE UNTIL HIS/HER ACCOUNT IS PAID IN FULL. In the event of default in payment of the account with the school, and if the same is placed in the hands of a 3rd party collector, the student must pay all costs and expenses incurred by the university for collection efforts which may be based on a percentage of no more than 33% of the amount owed to the school. Delinquency of the account will be reported to the credit bureau and may negatively impact the credit score of the student. The amount owed to the school is considered a student loan and is not dischargeable under Bankruptcy Law. Annual Loan Limits can be viewed in the Lee University Catalog under the Undergraduate Financial Aid section. These amounts will be subject to the student’s filing for federal aid, showing eligibility for loans and cost of attendance for school. Students may or may not be eligible for the maximum possible award based on these criteria. All graduate students who receive federal financial aid must be working toward an eligible degree from Lee University. 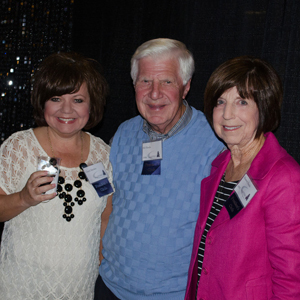 The LeeU Graduate Legacy award is a grant that may be given to Lee alumni who are fully accepted as new, degree seeking graduate students, and demonstrate financial need (as defined by the university). Completion of the FAFSA is required to be considered for LeeU Graduate Legacy. Awards are $2,000 per academic year (divided between fall and spring). Student musts be enrolled in at least 6 credit hours to be eligible. These limited funds are awarded until exhausted. Final eligibility will be determined by the Financial Aid Office by taking into consideration other institutionally defined factors. A Federal Grad PLUS Loan is a loan for graduate students who need further assistance after the use of Federal Direct loans. This is a federal loan with a fixed interest rate and is approved based on a student’s credit. Applications are made at StudentLoans.gov. Students are eligible for an amount up to the Cost of Education, less other aid received. The Loan Agreement for a Sub/Unsub Loan (MPN) and Loan Entrance Counseling are required before funds can be disbursed. This interview process provides valuable information about the Federal Graduate PLUS Loan Program. It is a Federal requirement that recipients must complete prior to receiving funds from this program. Federal regulations require all students who borrow Graduate PLUS funds to complete exit counseling when graduating or dropping below half-time enrollment. Assistantships and scholarships are available for full-time and part-time graduate students. Information can be obtained from the Director of the Graduate Program in each area of study. For more information about financial aid and funding resources, see the Undergraduate Financial Aid section of this catalog. An academic year consists of fall, spring, and summer semesters. Attempted hours are defined as any course that appears on the transcript. Satisfactory grades are A, B, C, and D.
Unsatisfactory grades are W, F, I, or IP. Pace of Progression Standard: Graduate students must satisfactorily complete at least 67% of all hours attempted. GPA Standard: Graduate students must maintain a minimum grade point average of 3.0, which is the academic standard to remain in a graduate program. Maximum Hours Standard: Graduate students will be allowed to receive federal aid for a maximum of 150% of the published required hours of their program of study. For example, if the student’s graduate program requires 36 earned credit hours for graduation, then the student may attempt a maximum of 54 credit hours before suspension. Transfer students: All transferable credits will be counted toward the maximum number of hours allowed to be eligible for financial aid. Satisfactory progress will be evaluated at the end of the first academic year the student is in attendance at Lee University. Repeat, Remedial, and ESL courses will be evaluated in a manner that is consistent with the academic standards of the University. Change in major: All course work appearing on the student’s Lee transcript will be included in the evaluation process (regardless of the association with the current declared major). Neither change of academic major nor the pursuit of a double major extends the eligibility for financial assistance. Satisfactory academic progress is reviewed annually for all financial aid applicants and ensures that they meet the required qualitative, quantitative, and maximum time frame standards outlined in Section II. Progress will be evaluated at the end of the academic year OR at the end of a term of probation. Applicants who do not meet the standards outlined in Section II will be notified. A student who fails to meet any of the above standards of progress will be placed on Financial Aid Suspension. the student meets the academic requirements to re-enroll. Student’s serious illness or accident. Death, accident, or serious illness in the immediate family. Other extenuating circumstances directly affecting academic performance. The appeal must be submitted in writing and be accompanied by appropriate supporting documents. These will be reviewed weekly by the Financial Aid Satisfactory Academic Progress Committee. Students will be notified in writing of the decision (approval or denial). If an appeal is approved, the student will be granted one semester of Financial Aid Probation. An Academic Plan will be established by the committee. The plan will be designed to address the academic deficiency, ensuring the student is making progress toward his/her degree. The student can continue to receive financial aid during the one semester of probation. Eligibility will be reviewed at the end of the term of probation. At that time, the student must either be meeting the overall standards or meeting the terms of their Academic Plan. A student who is removed from financial aid and/or whose appeal has been denied may be eligible to have his/her financial aid reinstated if he/she enrolls without federal financial aid AND is able to reestablish the minimum progress standards or the terms of the previously established Academic Plan. It is the student’s responsibility to inform the Financial Aid Office if the requirements to reestablish aid have been met. Lee University has a Residential Life & Housing program that exists to meet the housing needs of graduate students who desire this service. Graduate students are assigned on a first-come, first-served basis once the following criteria has been met: (1) acceptance to Lee University, (2) completion of a Residence Hall Application, and (3) payment of the $200 housing reservation deposit. In subsequent semesters, this roll-over deposit, along with an updated residence hall agreement, will reserve the student’s residence hall assignment for the following semester. When a student graduates, moves off campus or leaves the University, the deposit will be applied (within sixty days after residence halls close of the applicable semester) to the student’s account to cover any unpaid balance or a refund will be issued. Every effort is made to assign roommates based on written mutual request on the Residence Hall Application. The University reserves the right to change residence hall assignments. Married/non-traditional housing is available; however, it is limited. Graduate students are expected to abide by all policies and regulations governing Residential Life & Housing as established by the Student Handbook, Lee University Catalog, and Residence Hall meetings/communications provided by the Resident Director. Residence Hall Applications can be obtained by contacting the Office of Residential Life & Housing or visiting http://www.leeuniversity.edu/residential-life. Graduate students will be expected to adhere to all of the rules and policies of Lee University while on campus. Lee University is a smoke-free, alcohol-free, drug free campus. Graduate students are expected to respect campus norms. Sexual harassment, unwelcome sexual advances, extra- or premarital sexual conduct, requests for sexual favors and other verbal or physical conduct of a sexual nature will not be tolerated on campus. Students who are subjected to harassment should promptly contact the Vice President for Student Development. Graduate students are invited to attend intercollegiate athletic activities. Varsity teams compete in men’s and women’s cross country, soccer, basketball, indoor and outdoor track and field, tennis and golf; women’s volleyball and softball; and men’s baseball. Graduate students interested in participating in intercollegiate athletics should contact the Athletic Compliance Office to verify eligibility. The purpose of Campus Recreation is to connect, inspire and educate people toward healthy and active lifestyles in our campus community. We accomplish this by creating environments and opportunities that promote physical fitness, healthy habits and balanced behaviors, improving the overall wellness of participants. We teach participants meaningful life skills, encourage personal achievement and foster a sense of excellence in every aspect of our program. 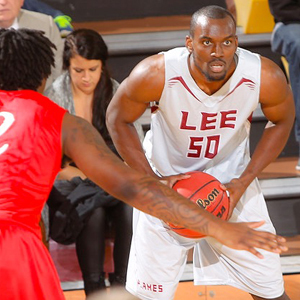 To promote physical well-being, Lee University encourages participation in various forms of athletics, outdoor recreation and other activities. Intramural sports for both men and women attract a large percentage of students who compete individually and as members of class, club, dormitory or independent teams. In addition to team sports like softball, volleyball, soccer, basketball and football, many individual sports and games are also offered (i.e., table tennis, bowling, billiards and chess). Current students (both graduate and undergraduate) and their spouses may participate in recreation programs including intramural sports and group fitness. The programs are free to all students who pay the student activity fee. Spouse participation requires a membership which may be purchased at the Recreation Center Office. Participants may register for the event(s) of their choice. The DeVos Recreation Center provides a wide range of social and recreational opportunities. These opportunities include a full-size gym, weight and physical fitness equipment, racquetball, cycling in both class and informal formats. This facility is only open to Lee University students, faculty, administration and staff. There are minimal fees for some features such as lockers and supplies. Other opportunities exist in the area of sport clubs and outdoor recreation. A list of active sport clubs and outdoor recreation activities can be obtained at the DeVos Recreation Center office. All users must present a valid ID in order to use the facilities or any equipment. Additional gym space and the game room is located at the Mayfield Annex. It is available for members of the campus community as well. All graduate students are required to have a valid student identification card. Additionally, all students who park a motor-driven vehicle on campus must register it with Campus Security. Upon receipt of a parking permit, the student is entitled to park in an assigned area. Parking is on a first-come, first-served basis. Regular patrols are made of the parking areas, and vehicles illegally parked are subject to being ticketed and/or towed. 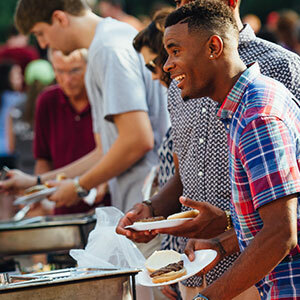 For more about student life, see the undergraduate student life section of this catalog. Satisfactory progress toward the degree is required. A student may be disqualified from further graduate work if a 3.0 grade-point average is not maintained. In the event that the grade-point average drops below the minimum level, the student may be given one enrollment period to raise it to the satisfactory level. A cumulative GPA of 3.0 is required for graduation. Any student who has been admitted may request to audit a class. Some classes may be excluded from auditing status by the department in which the class is taught. Students who wish to audit a class may do so at registration and pay the applicable fees. The audit fee is applicable regardless of the number of credit hours the student is currently enrolled in. Auditors must attend and participate in a minimum of sixty percent of the class sessions but are not responsible for exams and/or term papers. On the first day of class, the student must ask the instructor for permission to audit that class. If the request to audit is declined, the student must drop the audit class or change it to credit status, with a refund of the audit fee subject to the provisions of the university’s refund policy. Students who successfully complete the minimum audit requirements will receive a grade of “U” for the class. Should a student not meet the minimum requirements, the instructor will inform the Office of Records, which will purge the course from the student’s transcript with no refund of the audit fee. Any change in registration status (such as audit to credit or credit to audit) must be made by the last day to add a class (during the registration period at the beginning of each term). Adding or dropping courses and changing from credit to audit and audit to credit may be accomplished only during the 12-day registration (“add/drop”) period at the beginning of each term. The instructor’s signature must be obtained on the Change of Schedule Form to add a class. The student must bring the completed Change of Schedule form to the Records Office upon securing the appropriate signature so that the electronic record can be updated. After the 12th day of registration (“add/drop”) period at the beginning of the term, the student may wish to withdraw from a class in order to avoid negatively impacting his/her GPA or to reduce a heavy academic course load. To withdraw from a class, the student must initiate this transaction with a Change of Schedule Form obtained from the Records Office. The form must be filled out in its entirety and signed and dated. The student should return the form to the Office of Records upon securing the appropriate signatures so that the electronic record can be updated. 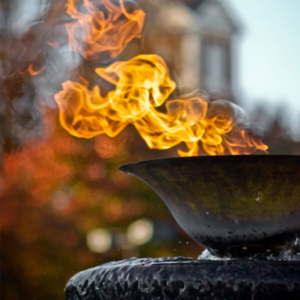 The last day to withdraw from a course with a grade of “W” is published in the university academic calendar which can be found at http://www.leeuniversity.edu/academics/. A student who never attends a class or stops attending a class for which he/she is officially registered will receive a grade of “F” in that course if established procedures for class withdrawal outlined above are not followed. During Advance Class Selection (ACS) the student will build his/her schedule for the upcoming term using the online student information system. 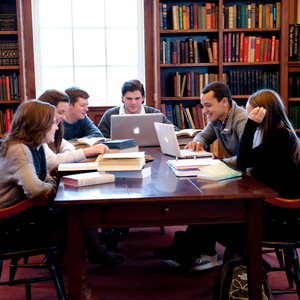 Graduate students are activated to build their schedules along with undergraduate seniors. There is a fee applied for each schedule change beginning with the first day of classes. The tuition refund policy is explained in the section on “Tuition and Fees”. Questions regarding schedule changes, registration, or Advance Class Selection should be directed to either your respective academic department or to the Office of Records. Questions regarding course offerings should be directed to your respective academic department. Questions regarding the bill should be directed to Student Financial Services. Questions regarding financial aid should be directed to the Financial Aid Office. Graduate courses are identified by a departmental abbreviation followed by a three-digit 500 to 700 level course number. A grade of “I” indicates the student’s work is incomplete. The grade becomes “F” if the work is not completed by the end of the following semester unless a written extension has been approved by the Vice President for Academic Affairs. A grade of “I” is given only to students who encounter some personal difficulty such as a severe illness or an extreme family emergency near the end of the semester. The “I” grade is not given in order to allow students additional time to complete assignments. A grade of “W” (withdrawal) is assigned to a student who, for any reason, officially withdraws or is withdrawn by the official semester date. This “W” is assigned without quality point penalty to the student. Some of the Lee University graduate programs require a thesis as a demonstration of the student’s research, writing and critical thinking skills. If a thesis is required, the specific requirements for the number of copies, binding, and distribution and housing of the final product may be obtained from the office of the appropriate graduate program director. To be classified as a full-time graduate student, students must enroll in no fewer than nine hours per semester. Maximum graduate enrollment is 12 hours per semester. Students enrolled in summer sessions may take a maximum of six hours per session. For summer sessions shorter than four weeks, the maximum load is four hours. Course work completed more than 10 years prior to admission is generally not accepted toward meeting degree requirements. The student has a maximum of six years from the date of admission to degree standing (and registration for course work) in which to complete the requirements for the master’s degree. Refer to specific program sections within the catalog for detailed policies. A transcript of academic credits will be issued by the Office of Records upon written request of the student. Transcripts can be ordered online at http://www.leeuniversity.edu (Quick Links at the bottom of the screen, Transcripts and Records). By law, the transcript cannot be released until the office has received the student’s signature granting permission to release his/her record. If requesting a transcript to be sent to another institution or other authorized person or agency, an official transcript is required. Official transcripts cost $7.50 each. Requests for transcripts, diplomas, and/or verification of degrees will be fulfilled only when all the student’s financial obligations to the university are met. Lee University will allow up to six semester credit hours of a graduate program to be comprised of transfer credit from a regionally accredited graduate program when the grade received is a “B” or better. The individual program committee must approve application of transfer credits. Exceptions to this policy may be determined by the respective graduate program committees. Up to six semester credit hours of appropriate graduate work with a grade of “B” or better from institutions outside the United States may be approved by the individual graduate program committee. The program committee will normally require these credits to be evaluated by World Education Services (WES). Instructions for submitting a transcript for review can be found at www.wes.org. This website provides specific submission instructions for each country. The transfer work will not be added to the Lee transcript until the program committee has approved the hours and, if requested by the committee, the official academic credit report is received from WES. All costs associated with obtaining the WES evaluation are the responsibility of the student. The office of Student Success is designated by the University as the office to process official withdrawals. Any student wishing to withdraw from all courses must notify this office. Students are required to present both his/her current University I.D. card and parking permit. Students are asked to complete the Permission to Withdraw Request Form. The Director of Student Success and Retention must approve the withdrawal request. Upon approval, the appropriate offices will be notified. Students are responsible to notify their graduate program directors. Financial aid recipients should note that withdrawing from the University can affect eligibility for current and future aid. See the Undergraduate Tuition and Fees Refund section and the Undergraduate Financial Aid Satisfactory Academic Progress Policy respectively. Students who are recipients of federal student loans should complete required loan exit counseling. This can be completed online at www.leeuniversity.edu/financial-aid or in the Financial Aid Office. Recipients of the Tennessee Hope Scholarship should go to the Financial Aid Office to complete the Tennessee Hope Enrollment Change Request Form to avoid loss of eligibility for future funding. Student Financial Services will issue a final statement of the student’s account. See the Undergraduate Tuition and Fees section of this catalog for refund policy information.